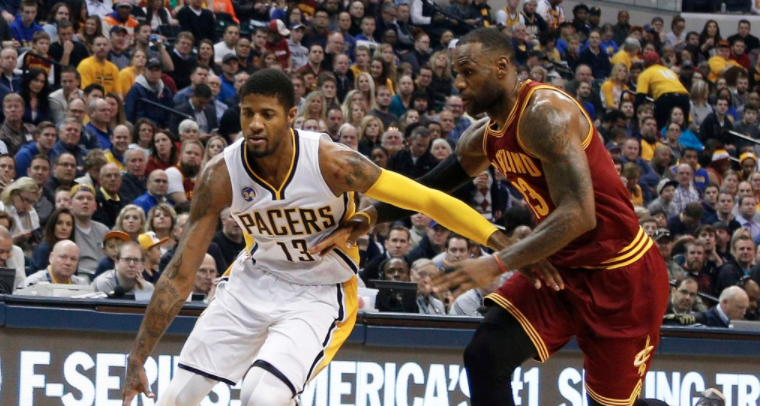 If Paul George is on the Cleveland Cavaliers' radar as a potential trade piece for another run at the Golden State Warriors in the NBA Finals, the Indiana Pacers star did not get the memo. Amid reports that the Cavs and Boston Celtics will try to acquire his services, George sounds like a man who wants to continue being the man in Indiana. George gained confidence from how tough the Pacers played the Cavs in the playoffs, and feels the Pacers have as good a chance as any team in the conference to close the gap on LeBron James. “In ways, I feel like we are close,” George said this week at a charity softball game in Indianapolis, according to ESPN. “It’s hard not to believe that because we did the best against Cleveland of anyone (in the East) and we could have won that series. George also dismissed the notion that all James had to do was make a phone call, admitting that he and The King don’t really have an off-court relationship. So much for George to the Cavs or Celtics being automatic, but it sounds more like his words were just lip music for the fans, allowing Pacers supporters to push the blame on the organization if he’s moved.